Loyola Medicine and Palos Health are offering a new breast cancer radiation therapy that shortens the treatment time by three weeks, while reducing side effects. The treatment is offered to patients who have undergone lumpectomies for early-stage breast cancer that has not spread to lymph nodes. It's called MRI-guided accelerated partial breast irradiation (APBI). The treatment is available at the Loyola Center for Cancer Care and Research at Palos Health South Campus in Orland Park. The center is the only site in Illinois that offers MRI-guided APBI. Traditionally, breast cancer patients who received radiation after lumpectomies were treated on 33 days over 6 ½ weeks. Over the past few years, the regimen has shortened to 20 days over four weeks. MRI-guided APBI shortens the regimen further. The patient receives two radiation treatments per day for five days in a row. The daily treatments are given six hours apart in the morning and afternoon, said Loyola Medicine radiation oncologist Tamer Refaat Abdelrhman, MD, PhD, MSCI. 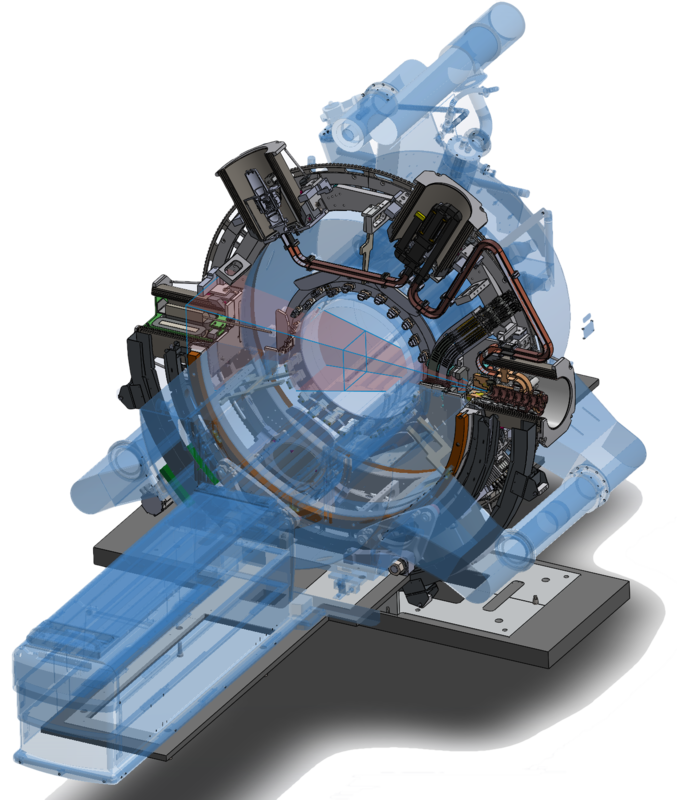 MRI-guided APBI is administered by a groundbreaking radiation system called MRIdian Linac. The Loyola Palos center is the first in Illinois – and only the fifth in the country – to offer the system, which targets tumors with millimeter precision. An ultra-sharp beam of radiation is delivered precisely to the tumor cavity, even if body functions such as breathing cause movement during treatment. This minimizes damage to surrounding tissues. In traditional breast cancer radiation therapy, the radiation usually is delivered to the entire breast. In standard APBI treatment, the radiation is limited to a 2.5 cm.-thick rim of healthy tissue surrounding the lumpectomy cavity. In APBI guided by MRI imaging, there's even less exposure to heathy tissue – the margin is only 1 cm. to 1.5 cm. thick. The tighter margin and highly precise MRI guidance throughout every radiation treatment likely will reduce side effects, Dr. Tamer Abdelrhman said. MRI-guided APBI with MRIdian shortens treatment, reduces side effects. Appl Rad Oncol.